Some people really make a mess of things the first time around. In the case of Fantastic Four, the reboot blew its wad a bit too early. Not only was it universally bashed by critics for essentially being two dull movies in one, it already wasted the team's chief antagonist, Doctor Doom. He’s the most recognized and, arguably, interesting villain the Fantastic Four ever faced on the page or screen, and his first impression in this new, modernized superhero world was unsatisfying. So where do the Fantastic Four go from here? Until we hear otherwise, we have to assume Fox is moving ahead with Fantastic Four 2, which is still scheduled for release in 2017 despite dwindling box office numbers for the first one. Who will be, or even could be, the big bad coming to menace the team? SPOILER ALERT: We thought it was going to be Tim Blake Nelson’s character, Harvey, but his Mole Man connections weren’t even touched upon and he eventually fell victim to Doom. So who’s left? In the event that Fox doesn’t want to rehash what they’ve already done — i.e. 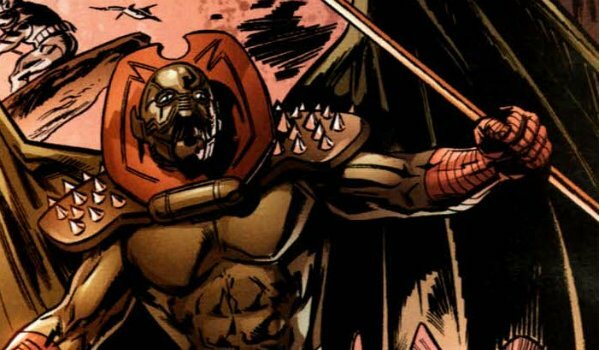 bringing back Doom directly after the first movie and bringing in Galactus — here are some ideas for villains that could reinvigorate this franchise. Namor isn’t the easiest figure to adapt, mainly because his cinematic rights are property of Universal Pictures. Nevertheless, if Sony could work something out with Disney to bring Spider-Man into the MCU, Fox should think about following suit. Born in Atlantis, he’s basically Marvel’s version of Aquaman: he has superhuman strength, stamina and reflexes; he can communicate with most forms of marine life; and he can fly, thanks to the winged fins on the back of his ankles. One of the first characters he battled was the original Human Torch — not the Human Torch from the Fantastic Four we all know and love, but Carl Burgos’s original creation. He eventually encountered Johnny Storm in New York City. 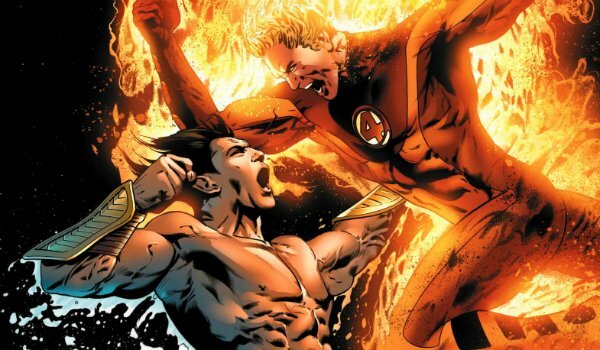 Namor had amnesia, and his battle with the fiery hero brought back some of his memories. Believing Atlantis had been destroyed, he waged war against NYC and the surface world for years, most often opposed by the Fantastic Four. Disney’s Marvel universe proved aliens and outer-space sequences could lead to massive success in the superhero genre, and Fox could have their own version by taking the Fantastic Four off-Earth to do battle against the Skrulls. The team were the first to discover the alien empire in the comics, and with the movie seeing the team investigating another dimension what’s to stop them from turning their gaze upwards? The Skrulls, too, are obsessed with conquering Earth and the race has one massively powerful being spearheading their army. 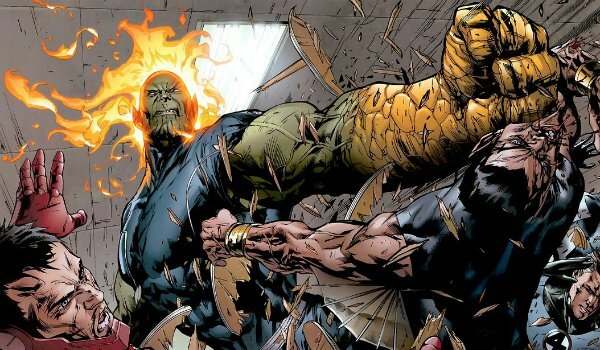 KI’rt, AKA Super Skrull, has the natural shape-shifting capabilities of the Skrull race, but he also has all the powers of the Fantastic Four. Since our heroes have just gotten the hang of their abilities, pitting them against a creature with the same powers could be interesting, but Super Skrull would also make a funny nod to Johnny Storm in Rise of the Silver Surfer. This one might be a little fanboy-y for your average reader, but hear me out. 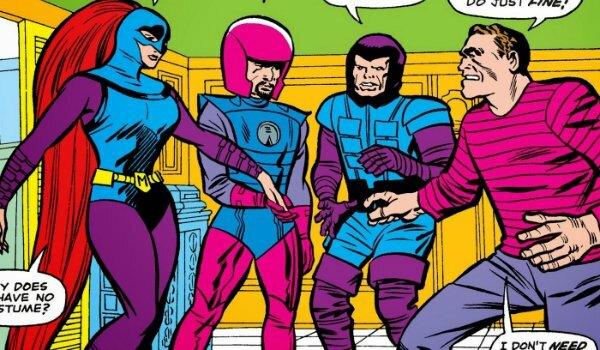 The Frightful Four of the comics is a collective of four supervillains whose roster frequently changes, though their mission stays the same — put an end to the Fantastic Four. In the Trank-led cinematic world, the government is trying to crack inter-dimensional travel, but what’s to say nobody else is? If Reed was able to crack the code alongside Victor and Dr. Storm, there could be someone else out there reaching the same success. With the government using The Thing to attack other military bases in top-secret missions, these enemies of the U.S. might want revenge. But how do they battle something like The Thing and the Fantastic Four? How about send over their own team of four individuals to Planet Zero to gain abilities? See, I’m having a fanboy moment, but it could work. The Fantastic Four successfully traveled to Planet Zero, and the characters are determined to learn more about it. The obvious choice for the sequel’s villain is to have someone or something come out of Planet Zero that’s not Doctor Doom. Annihilus is perhaps the most famous Fantastic Four villain to arise from the Negative Zone, which is the basis for the film’s Planet Zero. There was also a rumor flying around at one point suggesting he would be the villain of this current movie, but who knows with all the cuts and reshoots that went down. Annihilus is an all-powerful tyrant of this space, commanding a horde of destruction. Helping matters is last year’s revelation from James Gunn (via Comic Book Movie), who said Annihilus could not be used in Guardians of the Galaxy 2 because Disney’s Marvel Studios doesn’t own the rights to him. What do you call a man who has the ability to command matter at the molecular level? One of the most powerful men in the world. Molecule Man, aka Owen Reece, used this power in the comics to lift the Baxter building high above Times Square; create a new conscious being which he called "son"; and to freeze, liquefy and disintegrate objects. Uatua in Secret Wars II #6 refered to this character as "mightier than all other beings in the multiverse." While we would love to see Doom immediately return to prove that someone can finally get him right, that's already been done; Doom was a villain in both of the original Fantastic Four films. 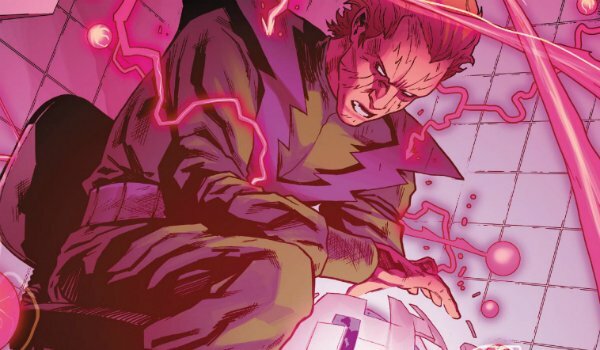 Molecule Man is a character that's not only just as dangerous, but he also reinforces the film's emphasis on science and will test the heroes to their limits. Plus, we've never seen a character with his abilities envisioned on the big screen.